This was really weird fabric to sew. It stuck to itself and was really rolly. Using the self fabric for the binding wasn't a great idea, but it'll work for now. We aren't really celebrating the New Year at our house. We got some Chinese fast food, which was mediocre. The kids watched Shrek 2 on tv. The 7-year-old is staying up, he thinks, until midnight. Last year we tricked him; we switched several clocks back an hour right after he saw the ball go down in New York--Eastern time. He still thinks he stayed up until midnight. He got up super early today, I really don't think he'll make it until midnight, but if he does, I don't know that we can pull off the deception again. I had a cute picture of the gingerbread cookies I made with the boys but it is mysteriously missing from the camera. Oh well. We decorated them with M&Ms and Skittles and they were really pretty. The ones with M&Ms tasted the best. We had a good Christmas, if a bit overwhelming. D was very excited when he opened the Wii and he's had fun making Miis and playing games on it. We had a turkey dinner with friends on Christmas afternoon and it was really nice. I made a turkey breast, the fabulous mashed potatoes from the Pioneer Woman Cooks blog, and Rhodes rolls (which were a dismal failure). My friend L brought green bean casserole, ham, and a jello dessert (and something else? I can't remember for sure). We made gravy together and I think we were both surprised at how well it turned out. So that was my new kitchen success. I got the Aranzi Aronzo Cute Dolls book for Christmas and need to make something from it soon! It's my first Japanese crafting book. It is very cute, with comic book style instructions with funny side comments throughout. Also... interesting characters to make including a kidnapper (???) and a Bad Guy who is actually pretty cute. The dolls are supposed to be made with jersey knit, which is interesting to me. 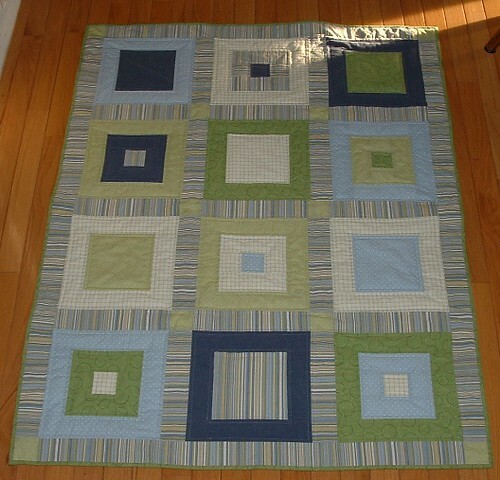 I'll probably make some out of knit but try making them out of wovens as well. 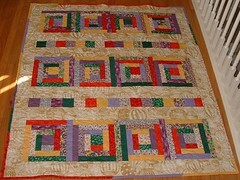 I finished R's quilt yesterday in a mad rush because I wanted to send off my Utah packages. I got to the post office about 4:30 and it actually wasn't that bad. I'm feeling a bit of the overwhelmed, don't know what to work on next feeling. 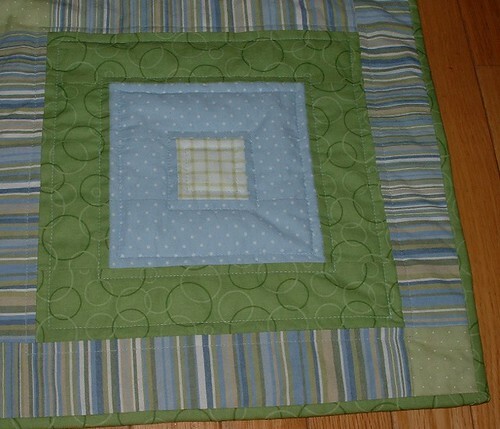 I have the tiny quilt I'm making for myself, there are 2 shirts cut out for my son, and I started decluttering my sewing bins yesterday. I could always clean and organize some more in the sewing room, too. 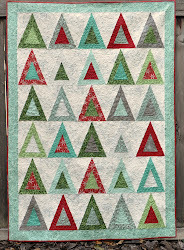 There are plenty of mistakes in this quilt but I'm not going to spell them out. Overall, I'm pretty happy with how it came out.